Manchester United start 2018 with a trip to Goodison Park on a three-game winless streak as we look to beat Everton. Sam Allardyce’s side have only lost once in his seven games in charge and that was late on at Bournemouth this past Saturday. With such a short rest period we are expecting Jose Mourinho to make a number of changes to his starting XI for this one. The Spaniard kept a clean sheet versus Southampton as we predicted two days ago and will remain in the starting XI to face Wayne Rooney and co.
We’re limited with the number of defenders available for Monday as Eric Bailly, Chris Smalling and Antonio Valencia are all injured. Ashley Young has played a lot recently and could be handed a rest by both the boss and the FA as he could face a three-match ban for his off-the-ball elbow against Southampton last time out. Luke Shaw has only recently returned from a long layoff so we don’t expect the youngster to start two games in three days. Therefore we could see Victor Lindelof at right-back again and Daley Blind getting a rare start on the opposite flank. Marcos Rojo is available again to partner Phil Jones in the middle. Axel Tuanzebe is the only other option we have in defence if Young is suspended. Injuries to Romelu Lukaku and Zlatan Ibrahimovic means we’ll have to make changes to our attack. As a result Marcus Rashford won’t be available down the wing. With Henrikh Mkhitaryan having a shocker on Saturday I don’t expect the Armenian to start at Goodison Park. Therefore I think the fresh legs of Ander Herrera could partner Nemanja Matic in front of the back four, with Scott McTominay another option here. 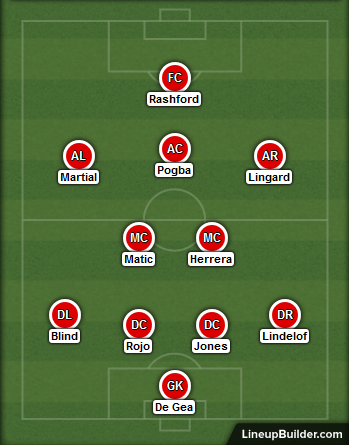 This allows Paul Pogba to push up to the number 10 role and Jesse Lingard could be pushed out to the right, with Juan Mata dropping to the bench. Anthony Martial made his return from injury at the weekend so can start this one down the left. 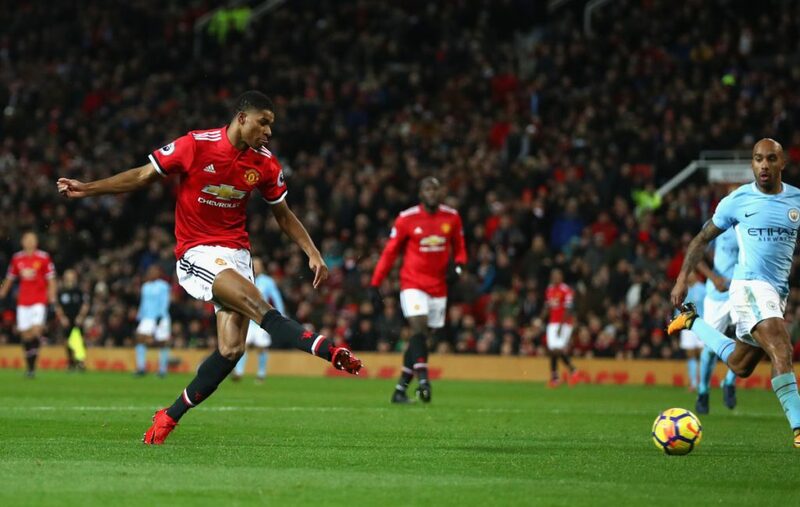 Jose said after the Southampton game that he’d expect Romelu Lukaku’s head injury to keep him out this week so Marcus Rashford is the best option we have in attack now. His pace could certainly be a problem for Ashley Williams and Phil Jagielka should either start in the Everton defence. Start martial upfront, Mata and lingard at wings,Herrera pogba matic at the midfield while Jones lindelop Rojo blind at back and victory will be in our side insha Allah.